Content was blocked because it was not signed by a valid security certificate. For more information, see “About Certificate Errors” in Internet Explorer Help. the zones are the same: external-https. and i believe that the certificate used was valid as well. 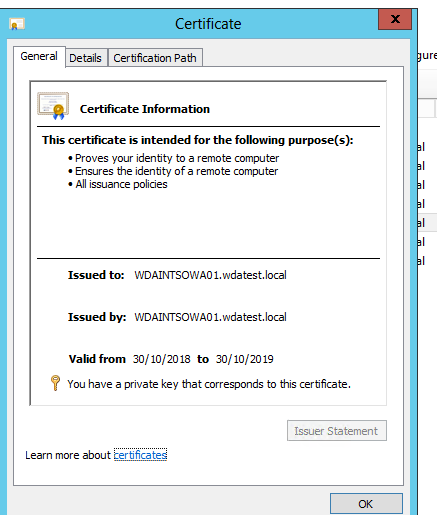 Here is link for creating and using Certificate for OWA. 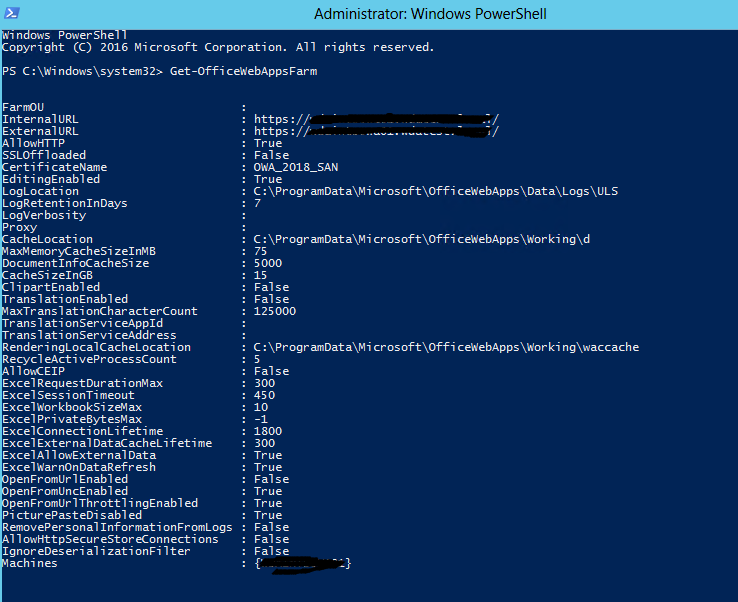 Here is MS documentation for deploy OWA single-server with HTTPS. The Friendly name field must be unique within the Trusted Root Certificate Authorities store. If you have multiple certificates that share a Friendly Name field, farm creation will fail because the New-OfficeWebAppsFarm cmdlet will not know which of those certificates to use. The FQDN in the SAN field must not begin with an asterisk (*). The certificate properties and extensions do not matter. For example, customers have asked us whether Client Enhanced Key Usage (EKU) extensions or Server EKU extensions are required. Office Web Apps Server requires no particular certificate property or extension. Not the answer you're looking for? Browse other questions tagged sharepoint-server office-web-apps owa or ask your own question.